Moe Creations: Favorite Project for 2011 Challenges!!! Favorite Project for 2011 Challenges!!! Hi everyone, I thought I would enter a couple of simple challenges, I didn't even have to make anything for these!!! You are to post your favorite project for the year of 2011. This had to be my most favorite. You may see my original post here! It has all the details, where I got the idea and image sizes. So if you have the time to enter these quick and simple challenges head on over!! Wowzah's!! 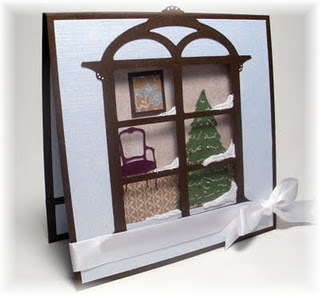 that is an amazing card, love that window..
Did not see this first time but it is beautiful. What a cozy little scene! Great dimension and texture. Thanks for playing along at Whimsical Wednesdays! I can certainly understand why this is one of your favorites. It is just an amazing project with such great details!!! Melissa, I absolutely adore this beautiful card! Oh what a fabulous card Melissa! Love the snow in the window corners. :-) Hugs! This is such a pretty card! I love how you are looking through the window and the snow on them! Thanks for playing at Whimsical Wednesdays! Beautiful. I love the cozy windows. This card is gorgeous. It is so homy, and welcoming. All the best for the New Year. Thank you for playing along with us at Whimsical Wednesdays. This card is stunning! Good luck with the challenges! This is just such a great project- all the detail, it tells a whole story, absolutely love it! 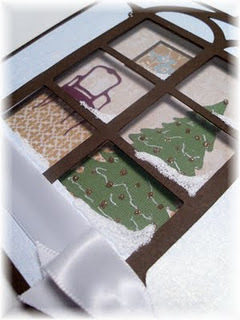 Thanks for sharing your favorite 2011 project with Cooking with Cricut! Copngrats! Just came from Creative Cutter Room blog and you won the Birthday Giveaway of 2 Cricut cartridges & 2 embossing folders. Commented that it was nice to see that someone with my same first naem had won. Amazing card! 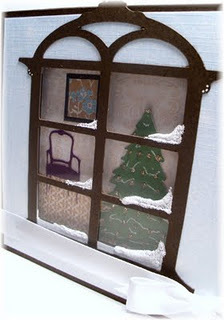 I love the window scene you created, so pretty and peaceful. Thanks for joining us at Whimsical Wednesday this week! I LOVE this card, Melissa! It is so elegeant and beautiful. 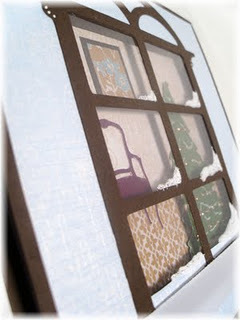 Thanks for linking up your favorite 2011 project at Cooking With Cricut this week.